Beneath the Liquid Skin now available for preorder! 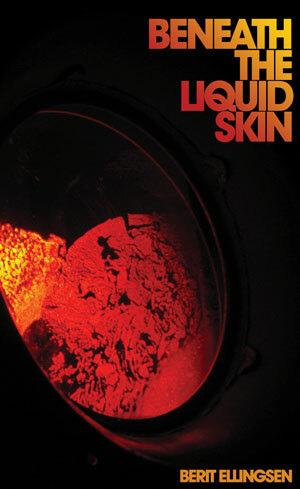 Beneath the Liquid Skin is now available for preorder and immediate shipping! “This collection is a beauty not to be missed.” – Kathy Fish, author of Together We Can Bury It. “Beneath the Liquid Skin evokes, terrifies, and placates. . . [and] touches on the mystical, the macabre, and the absurd.” – Kristine Ong Muslim, author of Grim Series: Poems. “Ellingsen stitches every word in perfect service to her utterly beautiful and dreamlike stories.” – Tania Hershman, author of My Mother Was An Upright Piano: Fictions and The White Road and Other Stories. “I loved this collection, which I think is one of the best of the year.” – Jeff VanderMeer, author of Finch. “Ellingsen is a distinct voice with a complex command of symbols, language, and narrative that leaves you wanting more.” – Paul Jessup, author of Glass Coffin Girls and Werevolves: A Journal of Transformation.